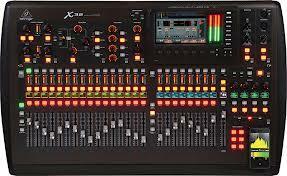 SSS Productions prides itself on providing exactly the sound quality you are looking for. We have systems that are appropriate for events involving a few people or several thousand people. Outdoor events on the top of a mountian are welcome challenges for us, and indoor events are always nice to get us out of the elements. We have done small business meeting presentations, to full blown concerts on our outdoor mobile stages. We are happy to provide a wide array of products to tailor to your specific sound needs. Call us for a free consultation today. 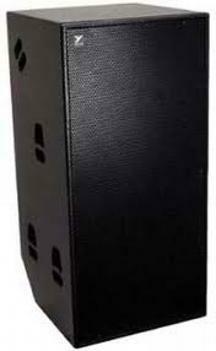 SSS Productions has many different types of main speakers. Below are some examples of some of the speakers we use. 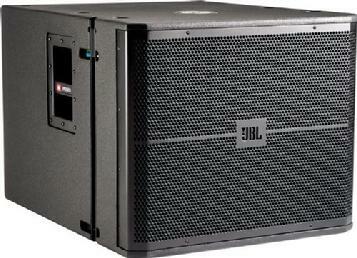 SSS Uses predominantly FBT, QSC, EAW, JBL and Yorkville brands. 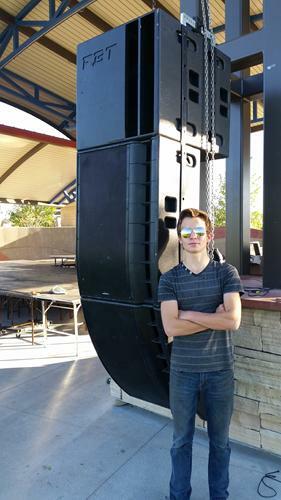 SSS Productions has a few different types of subwoofers, but we have LOTS of each type. If you need a little low end, or a lot, we've got you covered. 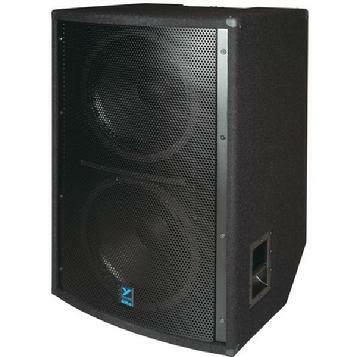 Up to 10 Yorkville 1004 Dual 18"
Up to 6 Yorkville Tx9 Dual 18"
Different mixers are appropriate for different events. If you are doing a presentation, you may only need a few wireless mics, and therefore, you may only need a very small mixer such as a PV6. Medium size events require a medium sized board, and larger events sometimes require the largest board. We'll be sure to bring the right size, never running out of channels- but trying to minimize the cost of your event. We use a wide variety of microphones to get the right sound. Believe it or not, a Shure SM58 is NOT the right mic for every voice. It's a popular one, but there are many mics that are much better for different applications. Here is a sampling of some of the microphones that we use on a regular basis (including a SM58). Click on any picture of the Microphones to see a larger picture. Wireless systems have many uses, the most common being for announcing, speaking, giving presentations etc. The handheld wireless allows greater mobility. The Lavalier clips right to the front of your clothing, and allows the use of both hands.